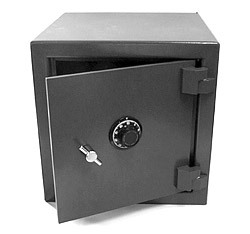 The instant you store your cash, checks, and receipts into the Cash Till Money Chest, Perma-Vault is on guard, protecting you against robbery and theft. It’s large capacity offers convenient access for deposits. Perma-Vault’s restricted key-ways protect against unauthorized key duplication. Equipped with dual custody safe deposit lock. Requires guard key and operator key to open. Combination Locks are also available. PV-C2020-C 1/4″ body; 1/2″ door. Equipped with UL approved Group II combination lock. One adjustable shelf. 20″ x 20″ x 20″ 265 lbs. 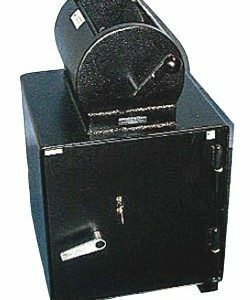 PV-C2020-K 1/4″ body; 1/2″ door. 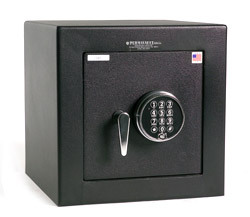 Equipped with dual custody safe deposit lock with two (2) operator keys and one (1) guard key. One adjustable shelf. 20″ x 20″ x 20″ 265 lbs.